In 1855, little more than two years on the throne, French Emperor Napoléon III organized the Exposition Universelle in Paris to show off the greatness of France’s industry, art and agriculture. Napoléon wanted to surpass “The Great Exposition” London had held in 1851. During the six months the French Exposition was open, more than 5 million visitors flocked to see the first sewing machines, the first lawn mowers, the world’s largest mirror (60 square feet) and the wines of Bordeaux. In preparation for the Exposition, Napoléon asked Bordeaux’s Chamber of Commerce to come up with a classification for Bordeaux’s great wines. Thus, the Classification of 1855 was born. 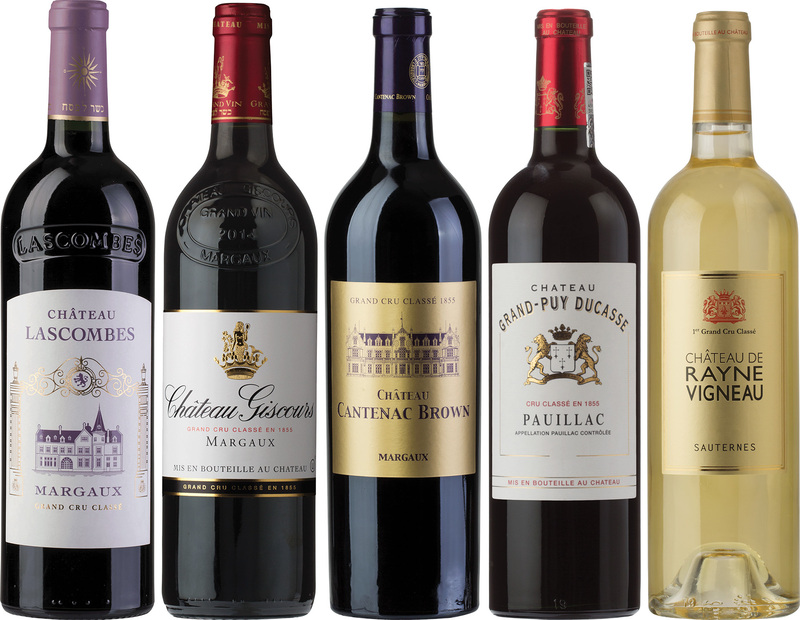 It divided the 58 greatest red wines of the Médoc region into five classes (or growths) and the 19 greatest sweet white wines of Sauternes into three classes. In the 164 since then, there have only been two small modifications to this classification. Despite all the changes in owners and names, these wineries remain some of the most prestigious in France, and in the world. And, despite all the criticisms that after more than a century and a half the classification is out of date, the Classification of 1855 remains arguably the most prestigious classification of wines in the world. For many wine buyers, seeing “Grand Cru Classé en 1855” on a wine label is a guarantee of quality. Today, a growing number of classified wineries are starting to produce kosher editions of their wines, yet getting classified wineries to produce kosher wine remains a real challenge. Menahem Israelievitch, Royal Wine Corp.’s head winemaker for France and Spain, explains that, “When we were looking for new wineries [to make kosher wine], it has always been very difficult and it remains very difficult … because if a winery sells all of their production [capability] anyway they don’t need the kosher market.” In fact, classified wines are almost always sold long before they are released. Below are tasting notes for the majority of Classification of 1855 wines currently available in the U.S. A newer vintage (2016) of many of these wines should be hitting the market within a few weeks of the the Kosher Wine Guide going to press. Chateau Lascombes, Margaux, 2015 (Kosher Edition): A blend of 50 percent cabernet sauvignon, 47 percent merlot and 3 percent petit verdot, this truly captivating, full-bodied wine has a complex nose with elements of plums, cherries, raspberries, blackberries, cassis, orange blossoms, fennel, oak, pencil shavings, pipe tobacco, browned butter and perfumed spice. Look for flavors of cherries, blackberries, plums, oak, anise and spice at the front of the palate, with more woodsy flavors — including an intriguing hint of truffle — mid-palate, and raspberry, mocha and tobacco on the finish. With a complex mineral element running throughout the wine, and a rich layer of ever more satiny tannins, this wine is almost approachable now, but will only start to show its best in 2022, and should then continue to age well until 2035. 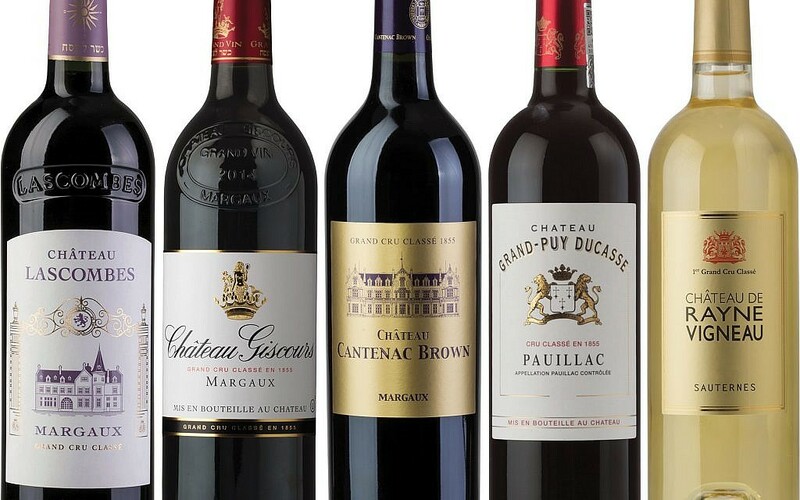 Chateau Cantenac-Brown, Margaux, 2015 (Kosher Edition): Full bodied and dark garnet in color, this wine is composed of 30 percent merlot, 65 percent cabernet sauvignon and 5 percent cabernet franc. The delightful bouquet is redolent of cherries, red currants, blackberries, cranberries, cedar and oak, with whiffs of wild flowers, wet limestone and espresso. Look for flavors of cherries, currants and damson plums at the front of the palate, moving toward flavors of chocolate, oak and tobacco mid-palate, with cherries and cranberries remerging on the finish. With silky tannins and a good mineral structure, this is the most approachable of the reds in the tasting. Best 2020-2030. Chateau Giscours, Margaux, 2015 (Kosher Edition): Giscours was the first classified winery to make a kosher edition (and I have a vivid memory of tasting the 1996 vintage several years ago) but this is its first kosher wine in quite a few years. Full bodied and garnet colored, this wine has a very tight bouquet of briar, cedar, oak, cherries, cassis, violets, pencil shavings, brown spices and oak. Cherries, cassis, boysenberries, oak and briar dominate the palate. Look for a note of endives mid-palate, and notes of dark chocolate, white pepper and allspice on the finish. This exceedingly elegant wine is still incredibly young and needs at least four more years in the bottle to be approachable. Best 2023-2033 and perhaps longer. Chateau Grand-Puy Ducasse, Pauillac, 2015 (Kosher Edition): This full-bodied, cabernet sauvignon-heavy blend has a bewitching nose of cherries, cassis, boysenberries, blackberries, plums, cedar and oak, with a light floral element. Flavors of cherries, cassis, blackberries, plums, oak and cedar all play nicely against a strong mineral backbone. Look for notes of dark chocolate, pencil shavings and violets. This wine needs some time; best 2024-2035. Chateau De Rayne Vigneau, Sauternes, 2014 (Kosher Edition): Composed of a blend of 80 percent sémillon and 20 percent sauvignon blanc, much of which was affected by botrytis cinerea (i.e., the noble rot), this exceedingly full-bodied, richly sweet wine has a luscious nose of Seville oranges, cumquats, honeysuckle, heather, honey, lychee and spice, with a lovely whiff of botrytis mustiness. Look for flavors of peaches, honeysuckle and apricot at the front of the palate, moving towards flavors of Seville orange, pineapple and oak mid-palate, moving to an herbal finish with a strong note of lemon verbena. There is a rich honey layer running throughout the wine. Look for hints of both leather and must. With good acidity to balance its almost-syrupy sweetness, this well-structured wine is ready to drink now and for the next 15 years. Please Note: Wines are scored on an “A”-”F” scale where “A” is excellent, “B” is good, “C” is flawed, “D” is very flawed, and “F” is undrinkable. Prices listed reflect the price at the retailer mentioned.